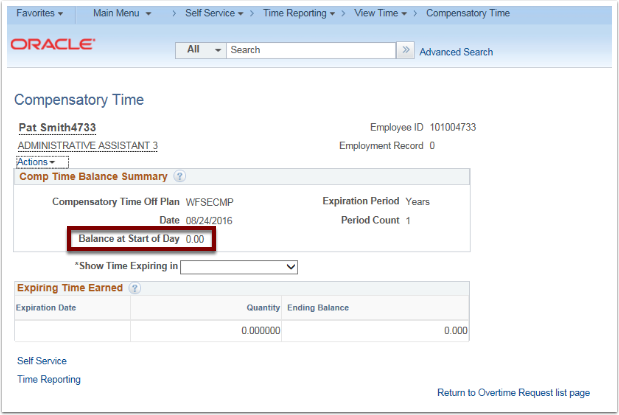 Purpose: Use this document to view comp time balance (for employees). The Balance at Start of Day field displays the current comp time balance as of the Date displayed. NOTE: All expiration information is irrelevant as all comp time is either used or payed out June 30th of every year.